I really love having a bird for a pet. Archie is endlessly entertaining, but the things that make him so cute are also the things that cause him to be a nuisance. 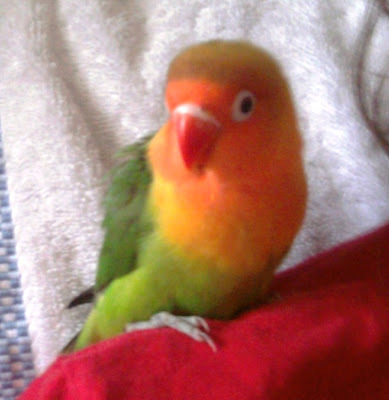 Case in point, our curious little birdie recently chewed through the cord of my earbuds. Not all the way through, but just enough that the wires poke through the plastic coating and scratch my neck. Enough that it causes a distraction that messes with my run. Oh yeah, he LOOKS innocent all right. This was before the Naples Half, so I wore a pair of M's earbuds for that race. They hurt my ears, were too loud, and fell out once I started sweating. I knew I needed a new pair. 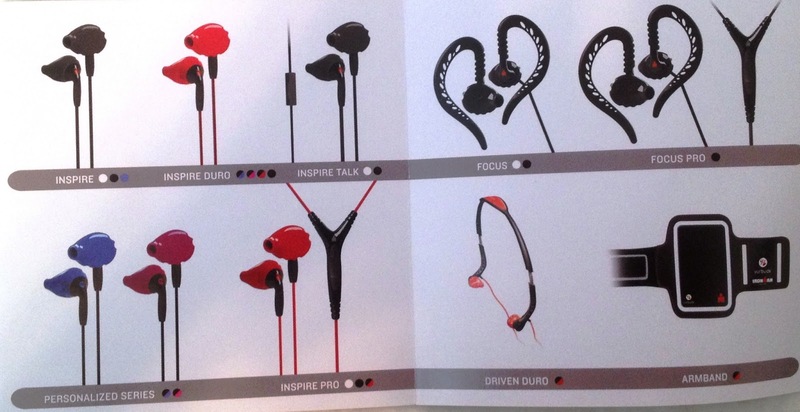 I really love the earbuds that come with iPods, but I may be in the minority there. Anyway, Apple has come out with their new version, and I wasn't sure if I'd like them. For $30, I wanted to be sure I was getting headphones I really loved. Left and Right are clearly labeled. So I did some research, and decided to get a pair of Yurbuds. I'd heard from other runners that these are excellent for all kinds of reasons. For one thing, they're specially designed to lock into your ear so they don't jiggle. The enhancers are medical-grade silicone, removable for easy washing, and designed to lock into place without putting pressure on sensitive spots in the ear. 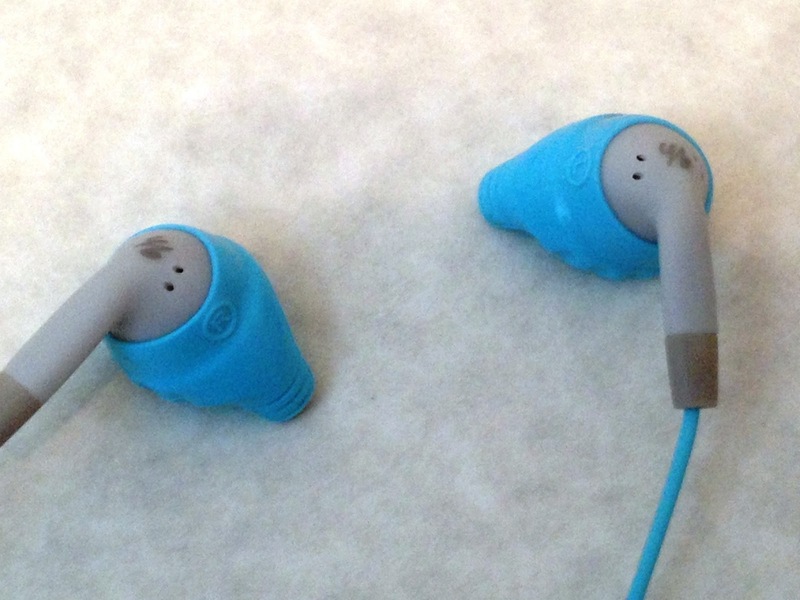 They're the same price as the Apple earbuds, so I picked up a pair in blue. (They come in pink, green, yellow, orange...and multiple other color choices. Target carried them all.) The first run I had with them had me hooked. They did not bounce at all. Even the wires didn't pull or twist; I didn't have to readjust any part of them during the entire run. This is a big deal, since I wear my earphone wires inside my shirt, and I'm usually caught groping around midway into a run to rearrange the cord as it migrates. They were super-comfy. I could hear passing cars and M's conversation even while listening to my music. I almost felt like I wasn't wearing anything in my ears at all! But wait, there's more! The company guarantees a perfect fit. If your Yurbuds don't fit, you can take a picture of yourself wearing them and they'll create a specialty-fit enhancer just for you, free of charge. I mean...this is just awesome. I'm sold on these. I got the Inspire for Women; the box comes with two sizes of enhancers, and the smaller size fits my ears really well. They carry tons of choices, including over-the-ear styles and styles equipped for iPhones, complete with water-resistant microphone. And did I mention that the more expensive options feature cloth-covered cords so they'll never tangle, and other crazy features? Check out their website here for more details. So if you're looking for a new pair of earbuds, I highly recommend these. They come in a variety of colors, they're comfortable, they enhance your safety because they allow ambient noise, they provide great sound-quality, and they're sweat and water-resistant. They're worth every penny, especially when you compare them to what I was using before. I can't wait to wear these in a race!